So there're a couple things in my wardrobe that I always need. Along with the essentials on everyone list like jeans, black blazer and white shirt, I have a thing for jumpsuits and rompers. If you didn’t know , I actually was a bit of a late bloomer when it came to jumpsuits. It was more about overcoming my fears of these thighs in a one piece and just like any other time I’ve overcome something, I embrace it enough to add it to my going list of things love to wear. 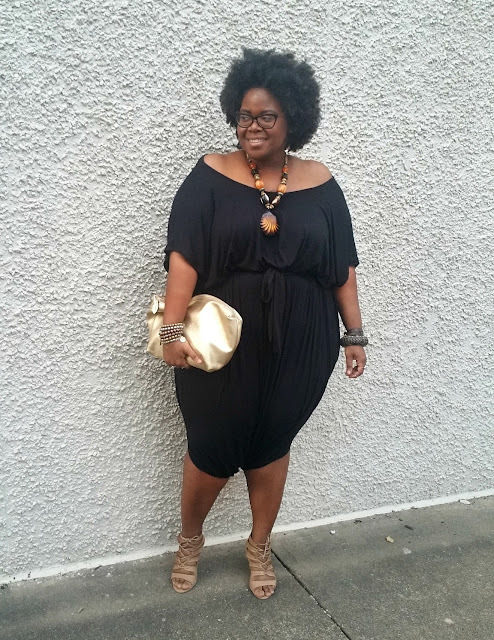 In others, my name is Pepper and I'm a plus girl who loves jumpsuits. Now that I have proclaimed my love for jumpsuits, I still have areas of design that I still work on, one being harem pants. I really can’t describe the concept behind the design of harem pants, but I do appreciate it. 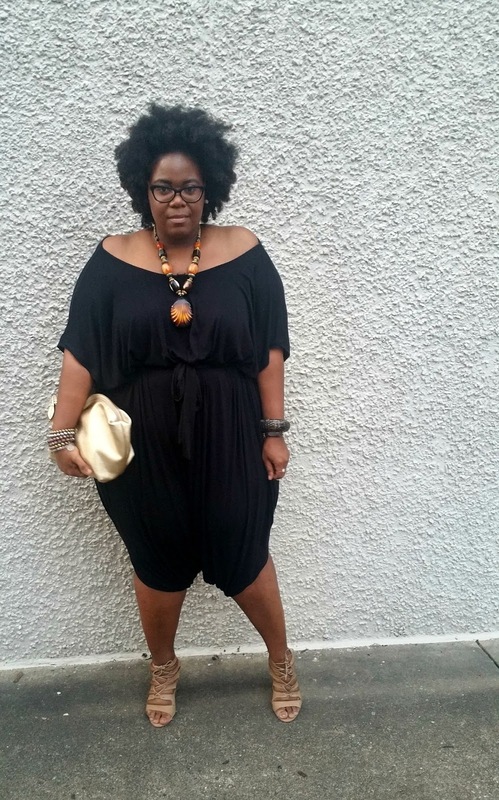 So when Debshops reached out to me to try an item from the summer collection I knew I wanted to find a jumpsuit I could see myself working several ways into my wardrobe. 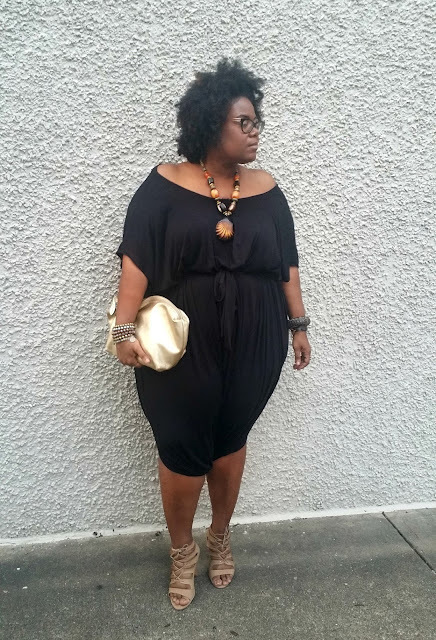 This Plus Size Waist Strap Harem Jumpsuit from Debshops.com fits my jumpsuit criteria easily with the extremely wide leg fit mixed with a slouchy design filled with draping. You just play around with it to create all new vibes in your pieces. 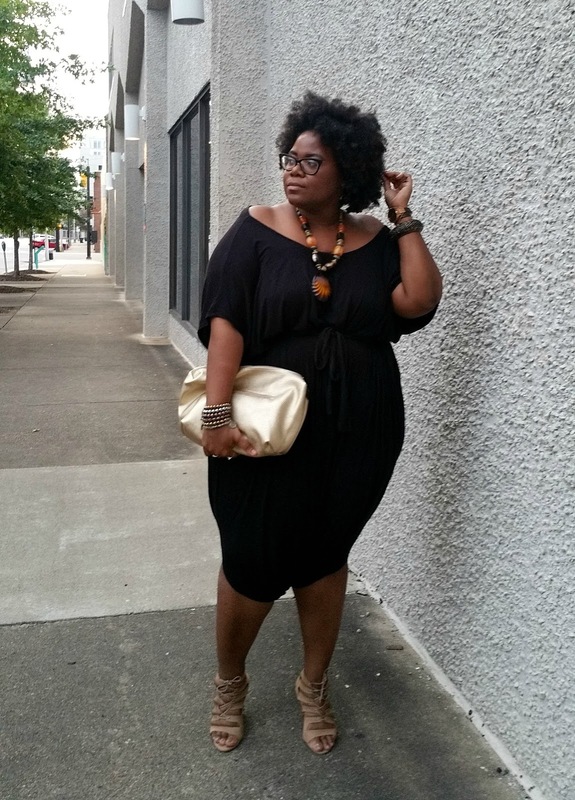 I had a change to mix it up a couple of ways for a evening out both dressed up and causally. Still comfortable and extremely playful, the perfect combo for evening out fashion. How would you wear it? Make sure you check out my Instagram to see the other way I wore it.